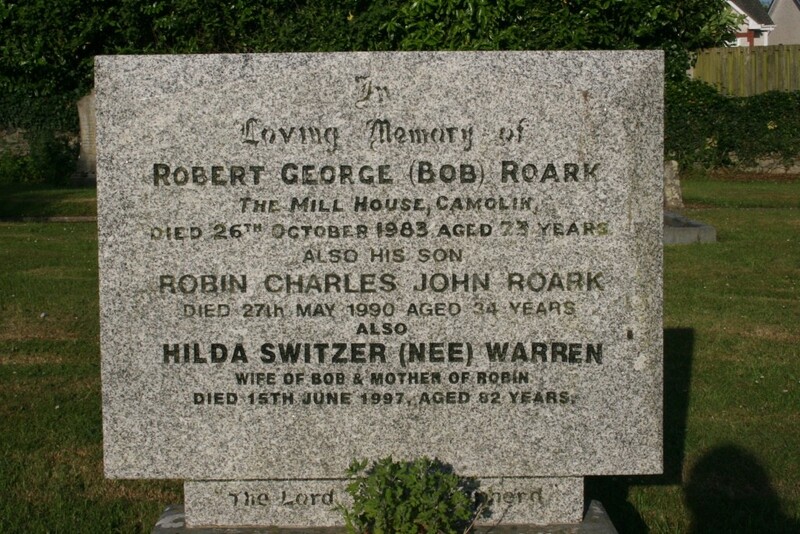 In loving memory of Robert George [ Bob ] Roark The Mill house , Camolin died 26th October 1983 aged 73 years. 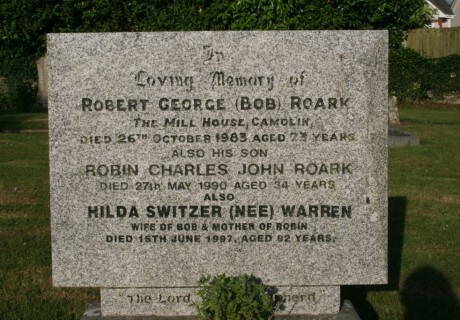 Also his son Robin Charles John Roark died 27th May 1990 aged 34 years. Also Hilda Switzer [ nee ] Warren wife of Bob. & mother of Robin died 15th June 1997 aged 82 years.